One of the most important issues confronting Islamic law today is how to balance the obligation to obey God against the fact that God’s will is represented by human beings. In Islamic thought, God is the authoritative source of law, but what is the balance between God’s authoritativeness and the potential for human authoritarianism? From an institutional and social point of view, God’s will could be represented by a variety of political or social realities including an absolute ruler, a court, a body of clergy, an ingrained bureaucracy, a well-established social practice, or even the unchallenged assertions of the head of a household. From a doctrinal and, perhaps, dogmatic perspective, God’s will is represented primarily by the ruler and jurists who are considered God’s special agents on the earth. While Muslims in general, arguably, are God’s viceroys on this earth (khulafa fi al-ard), it is rulers and jurists who traditionally have enjoyed the power to speak for the divine law. Doctrinally, both rulers and jurists, to different extents, are empowered to construct and represent the divine will in Islam. 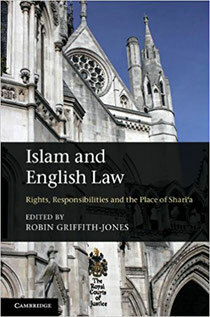 This creates a dichotomy between the roles, interests, and aims of rulers and Muslim jurists. Inherent to this dichotomy is an implicit form of negotiation – a power sharing or, at times, competition. EXCERPT: "To engage in jihad means to strive or exert oneself in a struggle to achieve a morally laudable or just aim. For all the sensationalism stirred by the term jihad, this is its indisputable definition in Islamic theology and law. The meaning of jihad is both this straightforward and simple and also this complex and indeterminate. Jihad could be in the form of armed struggle, but (as explained below) the use of violence could also be considered as a most serious and grave moral crime, that of causing corruption or ruin on earth (fasad fi al-ard). 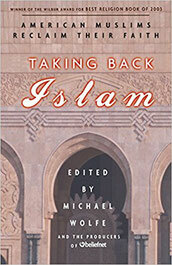 "Although the term jihad has been appropriated and co-opted in very diverse contextual and historical circumstances, in Islamic theology there is an inherent and integral relationship between the concept of jihad and the Qur’anically mandated normative obligation to pursue what is good and to avoid what is bad (al-amr bi’l ma’ruf wa al-nahy ‘ann al-munkar). By definition, moral worthiness and the justness of the cause are categorical preconditions for the existence and recognition of jihad or for a Muslim to be in a state of jihad (n. mujahid). In the classical philosophical and theological discourses, and especially in the apologetics of kalam, there is a vast and complex Islamic scholastic tradition investigating the definition and nature of moral goodness and what constitutes a just cause. In books of classical Islamic legal theory or jurisprudence (usul al-fiqh), as opposed to books on Islamic positive law (ahkam), there is a much more abridged and narrower discourse on what constitutes a legally recognizable just cause, or what may be considered a valid normative obligation as a matter of law. (We will distinguish further, below, between books on usul al-fiqh and books on Islamic positive law, ahkam.) This discourse in most classical Islamic sources falls under the general rubric of husn (what is good, praiseworthy, and beautiful) as opposed to qubh (ugliness). While theological and philosophical sources focus on questions of ultimate goodness and the nature of the obligation (taklif) to do good, jurisprudential sources focus for the most part on what may be considered valid or binding as a matter of law...."
EXCERPT: "...Are non-Muslims fought because of their act of disbelief or only because they pose a physical threat to Muslims? Most classical jurists concluded that the justification for fighting non-Muslims is directly proportional to the physical threat they pose to Muslims. In other words, if they do not threaten or seek to harm Muslims, then there is no justification for acts of belligerence or warfare. Similarly, relying on a precedent set by the Prophet, classical Muslim jurists held that non-combatants, like children, women, people of advanced age, monks, hermits, priests, or anyone else who does not seek to or cannot fight Muslims, is inviolable and may not be targeted even during ongoing hostilities. The existence of these doctrines is crucial for assessing the relationship between Islam and violence. But the reality is that the impact of such doctrines entirely depends on how modern Muslims choose to understand, develop, and assert them. Perhaps it is painfully obvious that regardless of how rich, humanistic, and moral the Islamic tradition is in fact, this tradition will be of very limited usefulness if it is not believed and acted upon by Muslims today. But herein is the true travesty of modern Islam, and the agony of every honest Muslim intellectual. It fairly well-known that non-Muslims suffer from much ignorance and prejudice about the Islamic doctrine of jihad, its meaning, and effect. Unfortunately, however, much of this ignorance is shared by Muslims themselves about their own tradition. For example, many Muslims today do not know the difference between jihad and qital, or are woefully ignorant about the rules for the conduct of war in Islam. Even worse, when contemporary Muslim scholars rise to emphasize the numerous moral and humanistic aspects of the Islamic tradition, they are accused by their fellow Muslims of being Westernized or of seeking to appease the West. The real danger is that in this highly polarized and politicized climate, much of what is authentically Islamic and genuinely beautiful will be lost or forgotten for a long period to come..."